A man-versus-truck thrill ride, Duel is a desert showdown with horsepower. Steven Spielberg's first film offers never-yielding intensity, and contains the raw material that would show up in more evolved forms in many of his later movies. David Mann (Dennis Weaver) is a salesman, embarking on a long road trip in his small red Plymouth Valiant across the California desert to meet with an important client. On the desolate highway and eager to make time, Mann encounters a very slow moving and wretched looking 1955 Peterbilt tanker truck, spewing filthy diesel soot. Mann overtakes the truck, which suddenly accelerates, overtakes Mann, and promptly slows down again, trapping Mann behind. It's the start of an escalating, dangerous highway game that the mysterious truck driver, whose face is never seen, insists on playing with Mann. At his first stop along the way, and before realizing the seriousness of his situation, Mann phones his wife, and she is mad at him for not defending her the previous night when another man made a clumsy pass at her. Back on the road, the truck recklessly tailgates Mann, forcing him to accelerate to extremely high speeds. He barely makes it to Chuck's Cafe, where a terrified Mann wonders which of the other patrons may be the truck driver. But no matter what he does, the truck will not stop haunting him, and Mann finally realizes that he is in a personal, inexplicable duel to the bitter end. Originally a television movie later expanded into a theatrical release when Universal Studios realized its potential, Duel is an epic existential survival tale. Spielberg demonstrates a deft touch for building tension, and once the monster is unleashed, there is no relief. Deploying classic mismatched elements to magnify the threat, the protagonist is small, helpless and out of his element, while the attacker is mysterious, large, living life on the road and probably enjoying the thrill of bullying. The film is filled with ideas that Spielberg would develop in his future blockbusters. 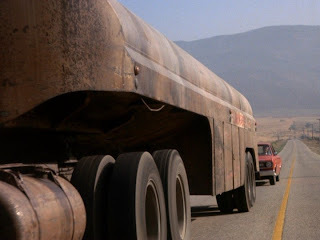 The shark from Jaws and the dinosaurs from Jurassic Park are different forms of that same truck, while the epic chase from Sugarland Express is an extrapolation of Duel's main premise. The theme of a repressed father and husband having to find his inner manhood to fulfill his mission re-emerges with Brody in Jaws and Roy in Close Encounters Of The Third Kind. 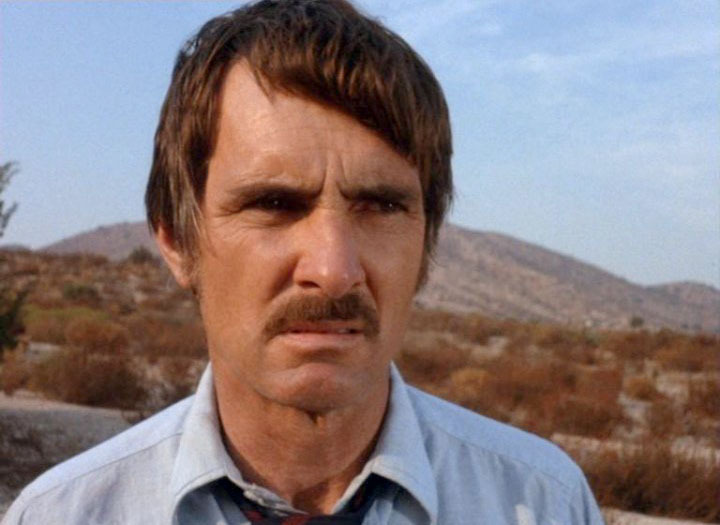 But on its own, Duel delivers a raw experience of mounting suspense, a Hitchcock on wheels hurtling in the badlands. Based on the short story by Richard Matheson, who also wrote the screenplay, the film is a broad-brush distillation of a nightmare: gigantic threat, no help, no escape. The little that is revealed about Mann is enough to fully humanize his predicament: a middle-aged salesman, berated by his wife, beholden to the demands of his boss, driving an everyday sedan. This man is no hero, and he is an easy target for a seemingly demented truck driver with too much time on his hands and too many white stripes under his tires. And out on the road, Duel roars with energy, creating an aesthetic of horsepower that retained influence as far forward as Mad Max 2: The Road Warrior (1981). 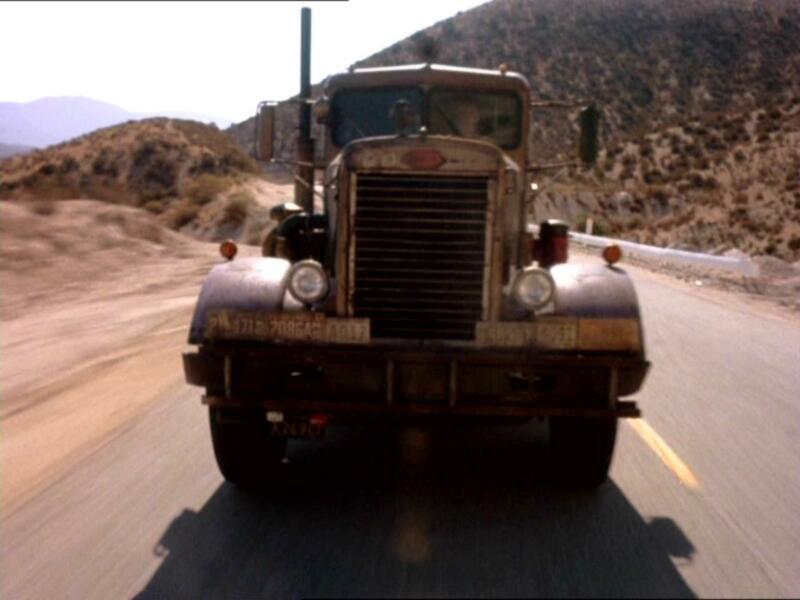 Duel is a visual masterpiece, Spielberg transforming the two vehicles into powerful images. The little red car stands out against the yellow desert as a defenceless, uncamouflaged target. 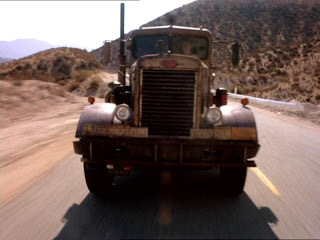 The Peterbilt truck is among the ugliest villains to grace the screen, growing more beastly as the movie progresses, its distinctive front face a fierce and brutal hunter's scowl. Spielberg keeps on finding new and foreboding angles to film the truck, as it takes its place among the memorable monsters of the movies. Dennis Weaver lands the role of his life as David Mann, acting with mounting anxiety, sweat, fear and finally resolve. The scene at Chuck's Cafe is entirely, and brilliantly, built in Mann's head, Weaver narrating his conflicting thoughts trying to understand the threat and figure a way out, all while attempting to guess the identity of the trucker. It's a scene where almost nothing happens except Mann's conversation with himself, and yet the apprehension mounts as the mental screws are relentlessly tightened. The Duel may be fought with steel and horsepower, but for Mann to survive, it will need to be settled by brains and subterfuge.